GNC officially renames Libya the “State of Libya” – until the new constitution. The General National Congress (GNC) voted yesterday, Tuesday, to adopt the “State of Libya” as the country’s official name — at least until the approval of the new constitution. According to a report by the state news agency LANA, the new name, was adopted unanimously by GNC members, and will from now on be used in all documents, slogans, passports, identity cards and all official transactions. This decision brings to an end the multiplicity of official names that the previous regime had used over the 42 years since the 1969 coup. These included the Libyan Arab Republic, the United Arab Republic, the Socialist Peoples Libyan Arab Jamahiriya and the Great Socialist Peoples Libyan Arab Jamahiriya. One of the main tasks of Congress under the Transitional Constitutional Declaration declared in August 2011 by the National Transitional Council is to draft a new constitution. 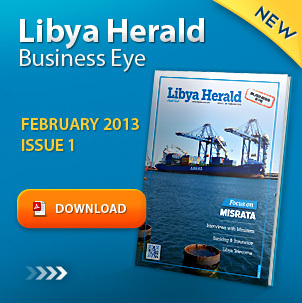 It will, among other tasks, decide what form of state system Libya will adopt in the long term. The new title may stick even after the constitution is established. Other countries use the same designation, notably Qatar and Kuwait.